"050626-grossergarten-palais" by Martin Röll Martinroell - Own work. "Dresden-Frauenkirche-View.from.top.01" by Ingersoll - Own work. 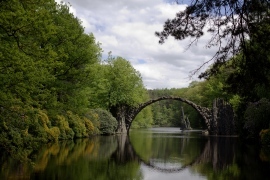 "Kromlau Park Rakotzbruecke" by Holger Wirth - Own work. "Pillnitz11" by User:Nikater - Own work. 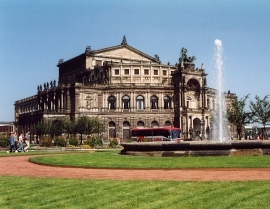 "Semperoper, Dresden, Sep 1999" by Lancevortex - Own work. Saxony is not the first state of Germany people think about when it comes to a holiday, yet Saxony has everything someone could need to a fun-filled holiday. Or a cultural holiday. Or an outdoor holiday. Mainly, however, Saxony is a region for culture, book, art, and history lovers. 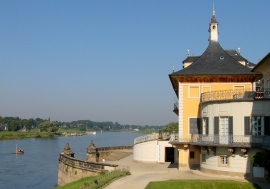 The famous art galleries in Dresden, the international Leipzig book fair, the historic fleet of paddle steamers on the river in Dresden – they all speak of culture and history. 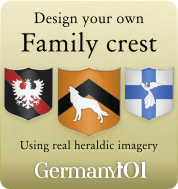 There are fascinating castles and fortresses (e.g. Europe's highest fortress), lovely parks, forests and also some mountains for the adventurous amongst you. Like with most other regions, there is a lot to do all year around. Outdoor fans should go in late spring, summer and early autumn. Saxony is home to Germany's oldest Christmas market. If you are interested in taking that in, and get some great Christmas present for the people at home, then you need to visit in winter. Most of the interesting tourist activities in Saxony can easily be done during the colder months. If you would like to visit the international book festival in Leipzig, then you need to plan your visit for the time around the time of the festival (check official websites for the dates as they differ each year). So you see, Saxony is actually good all year round – unless you are going there for the outdoors. There are winter sports in Saxony, but it's not exactly the best option for it. Before WWII, Chemnitz was one of the most prosperous cities in Germany. It has a high industrial production, and was often called the cradle of German engineering. Today, the city still has a lot to offer to visitors: museums, art galleries, walking tours, and much more. Book fans will know the name Leipzig because of the famous book fair. If you are interested in books, then you should plan your visit to Saxony to coincide with the festival because there's hardly a book festival in the world that attracts more famous names than the Leipzig book fair. Be aware that tickets for talks of famous authors are often sold out the day they start being sold. So you got to be quick. Apart from the book festival, Leipzig is a city filled with historic buildings that brim with interesting facts. History, culture, and art lovers will never want to leave this city. Dresden is the place to go if you love art. Do you know that famous painting of those two angels by Raffael? If you want to see the original, then Dresden's State Art Collections are the place to go. Dresden is also home to the most beautiful dairy shop, which is covered in artful tiles. If you had enough of art, then no visit to Dresden would be complete without a ride on one of the famous, historic paddle steamers. 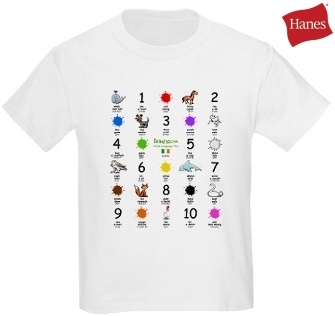 There are nine to choose from, so you have no excuse. One of them will always offer a cruise that would suite your interests and budget. If you are lucky, you might even get to help out in the engine room. Beware: you might not want to wear something white during a paddle steamer trip – the soot is hard to wash out in case it lands on you. This is the tallest fortress in Europe. It sits high up on a table mountain, and no enemy has ever been able to storm it. It had never been conquered. Today, you can go up there, not to try and conquer it, but to enjoy the fantastic views over the national park (which is also worth a visit if you like hiking). If you love cars, then you need to visit Zwickau, which is the birthplace of Audi. A large museum shows the history of this brand, and you'll be able to see some curious vehicles. Public transport in Saxony is very good, and there are two big airports. 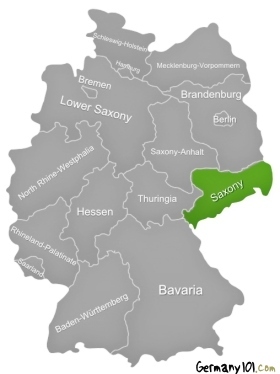 Getting to Saxony and moving around in Saxony is usually not a problem. Public transport on a Sunday might be limited, i.e. there will be fewer connections, but you should still be able to get around well enough. Look public transport timetables up in advance if you plan to travel on a weekend to avoid disappointments. Even in bigger cities, there are less buses, trains and trams during the weekends. Most shops will be closed on a Sunday. It makes sense to make a list of places you would like to visit, and buy tickets in advance if possible (to avoid queues in popular attractions). There are also many exquisite restaurants – some of them are very popular, so you might want to book a table well in advance, too.